Established in 1983, Maletti has become the leading supplier for hairdressing furniture and equipment. The interior of a salon plays a huge part in the process of a successful salon. 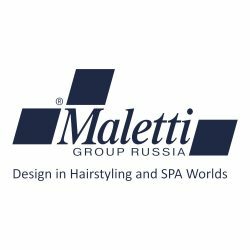 RUSH are thrilled to have Maletti sponsor our RUSH Live show this year. Every penny from the tickets sold goes to Great Ormond Street Charity. Last year RUSH raised over £10,000 for this incredible charity. Each and every RUSH salon looks different thanks to Maletti designs. Each salon is unique to RUSH, the designs aren’t repetitive and each piece of furniture is sustainable and of good quality. For any potential Franchisee, this is a benefit when opening a salon.